Earls Court Exhibition Centre was an internationally renowned exhibition and events venue in London, considered iconic by many visitors, that originally opened in 1887. A permanent structure in art moderne style was not built until 1935-7. Its heritage listing was refused after it was acquired by developers and demolition was completed, in 2017. Located in Earl's Court straddling the boundary between the Royal Borough of Kensington and Chelsea and the Borough of Hammersmith and Fulham, it was the largest such venue within central London served by two London Underground stations, one of them, Earl's Court tube station, being specially adapted for show visitors and with a direct link to Heathrow Airport. 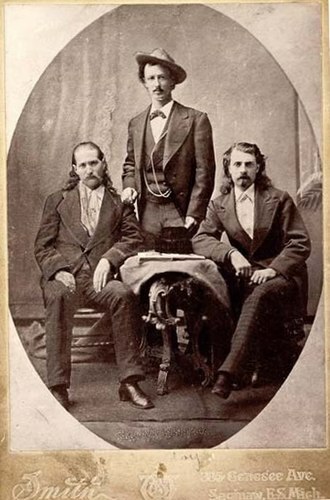 The founder was Leeds entrepreneur, John R. Whitley and the first attraction headlined performances by Buffalo Bill Cody as part of the 'American Wild West' Show visited by Queen Victoria and subsequently by members of the Royal Household. This was followed by "Four National Exhibitions", the title of C. Lowe's 1892 book about Earls Court and its founder. Earl's Court was widely known for serving as London's premier exhibition venue for many decades, hosting the Royal Smithfield Show, Royal Tournament, the Motor Show, the London Boat Show, the Daily Mail Ideal Home Exhibition, Billy Graham rallies, the Brit Awards (until 2010), the MOBO Awards, Crufts Dog Show and other notable events such as large scale Opera productions and Pop concerts in addition to hundreds of trade shows, such as the London Book Fair. 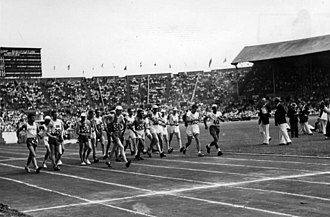 It was also used as one of the venues for both the 1948 and 2012 Olympic Games. In 1985 it was decided by the then owners, the P&O, to expand the covered venue to fend off competition from rival national venues, such as the (NEC) in Birmingham. 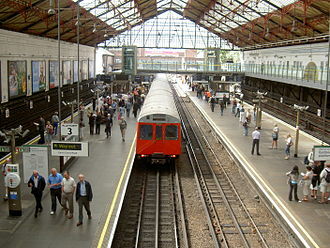 Earls Court II was built over the London Underground and British Rail lines and adjacent land in Hammersmith and Fulham. It was opened in 1991 by Diana, Princess of Wales. With falling attendances and the sale of Earls Court-Olympia to a new developer group in 2008, and a fortuitous constellation of like-minded politicians in the two boroughs and at City Hall, confidential plans were drawn up to demolish Earls Court. These were approved in outline by the two local authorities in 2013, along with a swathe of public housing, existing retail and the historic Lillie Bridge Depot in Fulham in order to make way for four new urban "villages" inspired by Terry Farrell on the 80 acre site, which was expected to be completed in 2033. Demolition work began on the site in December 2014. Before 1887 Earl's Court was farm land attached to Earls Court Manor. 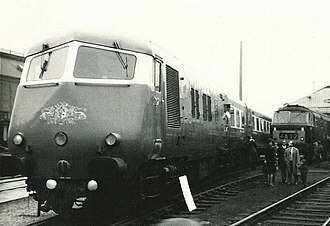 With the arrival of a multiplicity of railway companies, and before London Underground became distinct from the cross country railways, the tracks formed a triangle which became 'waste ground'. The introduction of two Underground stations, and a mass network of rails trapped the land. The idea of introducing entertainment to the area was brought about by John Robinson Whitley, an entrepreneur who used the land as a show-ground for a few years from 1887. 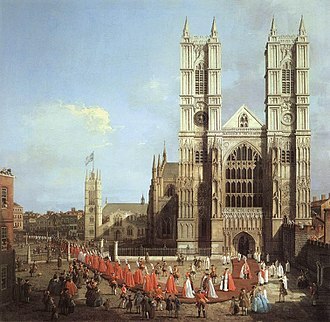 Whitley did not profit from his efforts, yet his desire had decided the future of Earl's Court and its purpose in later years. 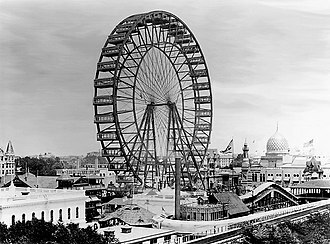 In 1895 the Great Wheel, a huge Ferris wheel, was created for Imre Kiralfy's 'Empire of India Exhibition'. 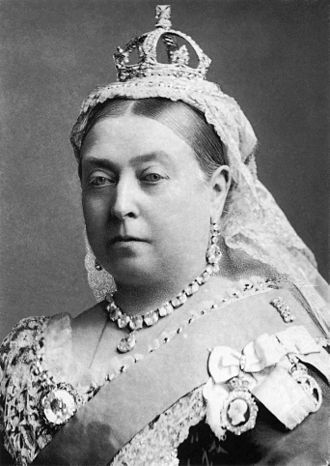 A plaque in the press centre commemorates some of these facts and that the reclusive Queen Victoria was an occasional visitor to the shows. Kiralfy had had the neighbouring Empress Hall built to seat 6,000 and then had the Earl's Court grounds converted in the style of the 1893 Chicago White City for the Columbian Exposition, and went on to found nearby White City in 1908. In 1935, Earls Court was sold and the new owners decided to construct an exhibition centre with an internal lake, to rival any other in the world and to dominate the nearby Olympia exhibition hall. The plan was to create Europe's largest structure by volume. The project did not go exactly to plan; it ran over budget and was late in completion. Designed by the specialist American theatre architect, C. Howard Crane, with over 40,000 sq m of space over two levels, Earls Court finally opened its doors to the public for the Chocolate and Confectionery Exhibition on 1 September 1937. The Earl's Court Motor Show immediately followed and later the Commercial Vehicle show. In spite of all the problems during the latter part of its construction, the project was eventually completed at a cost of £1.5 million. Following the construction of Earl's Court Two, this original building became known sometimes as Earl's Court One. In response to the drastic need to increase exhibition space, Earls Court Two was constructed at a cost of £100 million. The barrel-roofed hall links with Earls Court One and the hall's 17,000 sq m floor was entirely column-free. The hall was opened by Princess Diana on 17 October 1991 for the Motorfair. Earls Court Two was demolished by Capco Plc in 2015. It was situated on land originally occupied by a mass of sheds linked to the Lillie Bridge Engineering and Railway Depot. Earls Court hosted many shows and exhibitions throughout the years, including the Earl's Court Motor Show the Ideal Home Show and the BRIT Awards. The MPH Show, one of Britain's largest motoring exhibitions and shows, hosted by Jeremy Clarkson and others, took place there each winter after an earlier showing at the National Exhibition Centre in Birmingham. Each summer from 1950 to 1999 Earls Court was home to the Royal Tournament, the first, oldest and biggest military tattoo in the world. For this the area now occupied by Earls Court Two became a stables, artillery and vehicle depot for some two months, with several hundred military personnel from all three services billeted 'on site'. 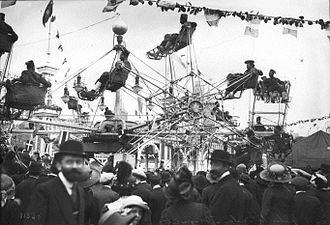 The Italian Exhibition in London, 1888. Captain Boynton's Water Show, 1893. Empire of India Exhibition, 1895. Empire of India & Ceylon Exhibition, 1896. The central area of the main hall concealed a massive pool area, formerly used for the London Boat Show before that transferred to ExCeL in the London Docks. It was also briefly used for the Earls Court Boat Show. The floor was supported on a combination of hydraulic jacks with lock-in rigid supports, enabling it to be used in its 'up position' for 'heavyweight' events such as the Royal Tournament, then lowered and flooded to give a 60 m long and 30 m wide pool between 2.5 m and 3 m deep (depending on usage). The 750-ton concrete exhibition floor could be removed and reinstated at the push of a button. When used it took four days to fill and four days to empty and 2¼ million gallons of water were needed to fill it. These operations could only be accomplished at night, so as not to put undue strain on local services. The Professional Lighting and Sound Association held its annual trade show, the PLASA Show, at Earl's Court between 1992 and 2012. The 2013 show was held at ExCeL. London Film and Comic Con was hosted at Earl's Court 2, held every July. The convention held autograph and photoshoot sessions with celebrity guests as well as providing a place to play games and buy collectables. In July 2014, due to the increase in the event's popularity, it was hosted in both Earl's Court 1 and Earl's Court 2. During the First World War, Earl's Court Exhibition Centre turned into a huge refugee camp of the British Government. From 15 October 1914 onwards until 1919, more than 100,000 Belgian refugees stayed in this camp. Earls Court hosted the volleyball matches during the 2012 Summer Olympics. Earls Court hosted the volleyball competitions in the 2012 Summer Olympics. The volleyball events were scheduled for the multi-sport arenas in the Olympic Park. At the 1948 Summer Olympics, the venue hosted the boxing preliminaries, gymnastics, weightlifting, and wrestling events. The London leg of the 2010 FIFA World Cup Trophy Tour was held at Earl's Court Two on 11 March, with Wayne Rooney making an appearance with the trophy. Earl's Court was one of the most popular arenas to play in the UK, with a capacity of around 19,000 including standing room, meaning it was often chosen over other venues by bands with a large fan base. Slade and David Bowie were the very first rock acts to play there in 1973. Led Zeppelin performed 5 sold out shows at the venue in May 1975. Bowie's 1978 concert performance there was released as Welcome to the Blackout (Live London '78) in 2018. On 28–31 May, 1 June 2002, Irish vocal pop band Westlife held concerts for their World of Our Own Tour supporting their album World of Our Own. However, after the opening of the O2 Arena , in 2007, concert performances at Earl's Court were rarer. On the night of 12 October 1994, Pink Floyd were scheduled to begin a 14-night residency of the Centre as part of The Division Bell Tour. During their opening song, "Shine On You Crazy Diamond" a section of seating, containing 1,200 attendees, collapsed, injuring 90 people. There were no deaths. The show was immediately cancelled and rescheduled for 17 October. 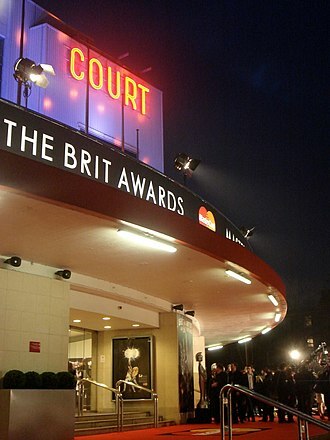 The Brit Awards, the British Phonographic Industry's annual pop music awards, were first held at Earl's Court in 1997 and then from 2000 to 2010. The awards show moved to the O2 Arena in 2011. The name was originally a shortened form of "British", "Britain" or "Britannia", but subsequently became a backronym for British Record Industry Trust. Before moving to the Birmingham NEC, Crufts Dog show was held here annually. 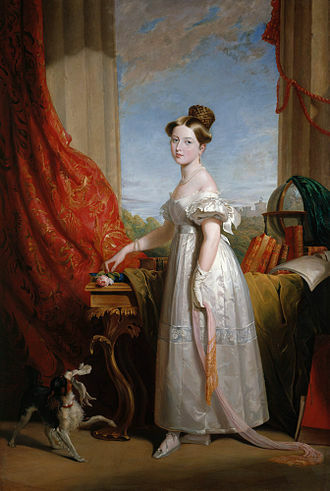 With public and Kennel club concerns about the neglect and mistreatment of dogs, it introduced an annual exhibition aimed at showing how best to look after dogs as pets or care companions. This was Discover Dogs. The last show in London was held in 2014. The owner of Earls Court and Olympia, Capital & Counties Properties (also known as Capco), opened discussions in 2010 with the London Borough of Hammersmith & Fulham and the Royal Borough of Kensington & Chelsea to demolish the existing landmark centre and redevelop the area with up to 8,000 residential flats, retail outlets and possibly a new convention centre. Demolition work began on the site in December 2014. The demolition of Earl's Court was opposed by the Save Earl's Court Action Group. The group was composed of local residents and interested parties who would be affected by the exhibition centre's destruction and subsequent 20 years of proposed redevelopment. Nicky Gavron, a Labour Party member of the London Assembly, argued that "losing Earl's Court would be a huge setback for the London and UK economy. Earl's Court brings in £1bn a year, provides a shop window for UK industries and sustains thousands of long-term jobs in the local area. This economic benefit cannot and will not be replaced by a one-off construction project. There is no evidence London needs less exhibition space. Britain's competitors are currently expanding their own capacity because they understand the economic benefits these centres create." Darren Johnson, a Green Party member of the London Assembly, wrote to the Mayor of London, Boris Johnson, and argued that "the Earl's Court demolition plans are a recipe for a disaster, with massive economic, social and environmental consequences. The winners will be the wealthy developers who will leave the houses empty and overseas property speculators while the losers will be the community, local businesses and Londoners who will lose one of the capital's key exhibition centres." The Guardian's London blogger Dave Hill cited concerns over the number and relative affordability of the housing units that will be constructed on the site after the proposed demolition of Earl's Court, as well as concerns over the views of local residents. Despite the opposition, Boris Johnson approved the redevelopment plans on 3 July 2013. ^ "The final curtain for Earls Court: last gig at legendary music venue". London Evening Standard. 12 December 2014. ^ London2012.com profile. Archived 2 October 2011 at the Wayback Machine – accessed 29 September 2010. ^ 1948 Summer Olympics official report. Archived 16 July 2011 at the Wayback Machine pp. 43, 46, 49–50. ^ a b "Pink Floyd - 1994 Earls Court seating collapse report". Brain Damage magazine. Retrieved 15 March 2018. 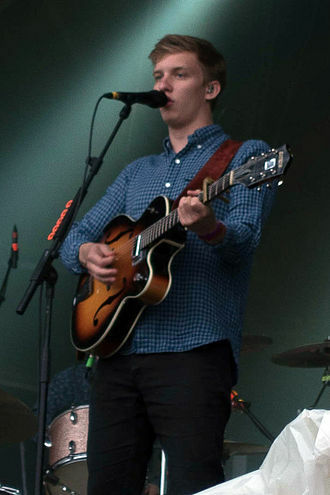 ^ a b c Penman, Danny (13 October 1994). "Pink Floyd 'very angry and upset' over accident: Human error could have caused temporary stand's collapse at rock concert attended by 15,000 fans". The Independent. Retrieved 15 March 2018. ^ Carmichael, Sri (22 January 2010). "On the Bill: Earls Court Demolished To Make Way for 8,000 Flats". London Evening Standard. Archived from the original on 26 January 2012. Retrieved 7 August 2012. ^ (registration required) Hatcher, David (19 June 2009). "Olympian Effort". Property Week. Retrieved 5 August 2012. ^ "Save Earl's Court! – Home". Saveearlscourt.com. Retrieved 15 January 2014. 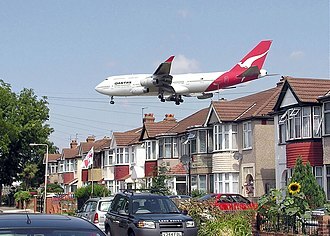 ^ "News from Darren Johnson AM: Mayor urged to refuse Earl's Court planning application | Greater London Authority". London.gov.uk. 5 March 2013. Archived from the original on 23 April 2013. Retrieved 15 January 2014. ^ Hill, Dave (26 November 2012). "Earls Court: Kensington and Chelsea's go ahead can't hide the contradictions". The Guardian. Retrieved 15 January 2014. ^ "Earls Court demolition plan approved by Mayor of London". BBC News. 3 July 2013. Retrieved 4 July 2013. Wikimedia Commons has media related to Earls Court Exhibition Centre. Sir Terry Farrell, CBE, RIBA, FRSA, FCSD, MRTPI is a British architect and urban designer. 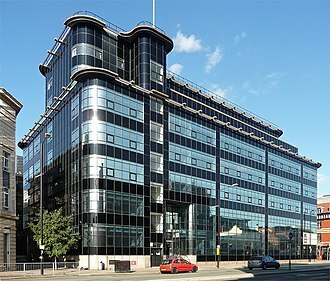 In 1980, after working 15 years in partnership with Sir Nicholas Grimshaw, Farrell founded his own firm and he garnered a strong reputation for contextual urban design schemes, as well as exuberant works of postmodernism such as the MI6 Building. In 1991 his practice expanded internationally, opening an office in Hong Kong, in Asia his firm designed KK100 in Shenzhen, the tallest building ever designed by a British architect, as well as Guangzhou South Railway Station, once the largest railway station in Asia. 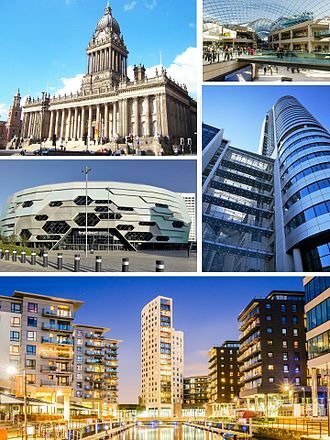 Farrell is a prominent voice in British architecture and planning, Farrell was born in Sale, Cheshire. As a youth he moved to Newcastle upon Tyne, where he attended St. Cuthberts High School and he graduated with a degree from Newcastle University, followed by a Masters in urban planning at the University of Pennsylvania in Philadelphia. In 1965, Farrell moved to London to form a partnership with Sir Nicholas Grimshaw, in 1980 he founded his own company, Terry Farrell & Partners. In addition, Farrell lectures at a number of different universities including Cambridge University, the University of London, the University of Pennsylvania, in the early part of his career with Grimshaw, Farrell gave emphasis to housing projects. In the 80s and 90s his projects included Charing Cross Station, more recent work includes the new headquarters for the Home Office, the conversion of the Grade 1 listed Royal Institution of Great Britain and the Great North Museum in Newcastle. He has designed his own iconic buildings within these projects, including the Edinburgh International Conference Centre, in May 2010 he was appointed to regenerate the 72-acre area around Earls Court exhibition centre. In 2012 his practice was appointed as masterplanners for Wood Wharf – the next phase of Canary Wharfs development, in East Asia, projects include Incheon International Airport in Seoul and Beijing South Railway Station – the largest in Asia. When completed in December 2010 Guangzhou South Railway Station was for a time the largest railway station in the world, since setting up his practice in Hong Kong in 1990 he has designed the Peak Tower, Kowloon Station development and the British Consulate-General, Hong Kong. Streamline Moderne, or Art Moderne, is a late type of the Art Deco architecture and design that emerged in the 1930s. Its architectural style emphasized curving forms, long lines. The first streamline buildings evolved from the work of New Objectivity artists, a movement connected to the German Werkbund, as the Great Depression of the 1930s progressed, Americans saw a new aspect of Art Deco—i. e. Cylindrical forms and long horizontal windowing may be influenced by constructivism, as a result, an array of designers quickly ultra-modernized and streamlined the designs of everyday objects. Manufacturers of clocks, telephones, furniture, the style was the first to incorporate electric light into architectural structure. In the first-class dining room of the SS Normandie, fitted out 1933–35, twelve pillars of Lalique glass. The Streamline Moderne was both a reaction to Art Deco and a reflection of austere economic times, Sharp angles were replaced with simple, exotic woods and stone were replaced with cement and glass. Art Deco and Streamline Moderne were not necessarily opposites, the Sterling Streamliner Diners were diners designed like streamlined trains. Although Streamline Moderne houses are less common than streamline commercial buildings, the Lydecker House in Los Angeles, built by Howard Lydecker, is an example of Streamline Moderne design in residential architecture. In tract development, elements of the style were used as a variation in postwar row housing in San Franciscos Sunset District. The style was applied to such as electric clocks, sewing machines, small radio receivers. Their manufacturing processes exploited developments in science including aluminium and bakelite. Compared to Europe, the United States in the 1930s had a focus on design as a means to increase sales of consumer products. Streamlining was associated with prosperity and an exciting future and this hope resonated with the American middle class, the major market for consumer products. A wide range of goods from refrigerators to pencil sharpeners was produced in streamlined designs, streamlining became a widespread design practice for automobiles, railroad cars and other vehicles in the 1930s. 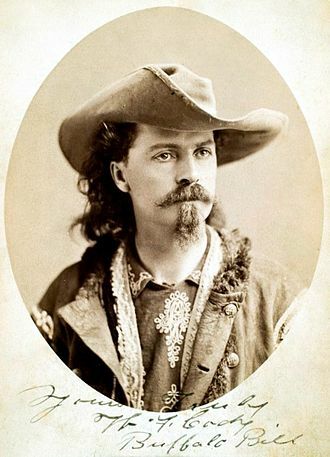 William Frederick Buffalo Bill Cody was an American scout, bison hunter, and showman. 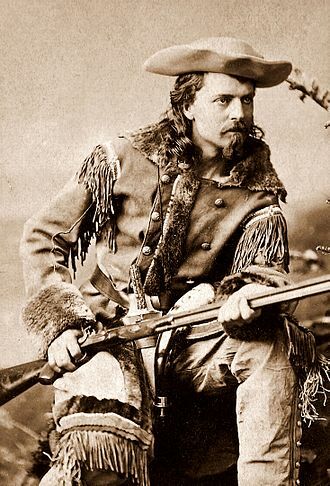 Buffalo Bill started working at the age of eleven, after his fathers death, during the American Civil War, he served the Union from 1863 to the end of the war in 1865. Later he served as a scout for the US Army during the Indian Wars. One of the most colorful figures of the American Old West, shortly thereafter he started performing in shows that displayed cowboy themes and episodes from the frontier and Indian Wars. He founded Buffalo Bills Wild West in 1883, taking his company on tours in the United States and, beginning in 1887, in Great Britain. Cody was born on February 26,1846, on a farm just outside Le Claire and his father, Isaac Cody, was born on September 5,1811, in Toronto Township, Upper Canada, now part of Mississauga, directly west of Toronto. Mary Ann Bonsell Laycock, Bills mother, was born about 1817 in New Jersey and she moved to Cincinnati to teach school, and there she met and married Isaac. She was a descendant of Josiah Bunting, a Quaker who had settled in Pennsylvania, there is no evidence to indicate Buffalo Bill was raised as a Quaker. In 1847 the couple moved to Ontario, having their son baptized in 1847, as William Cody, at the Dixie Union Chapel in Peel County, the chapel was built with Cody money, and the land was donated by Philip Cody of Toronto Township. 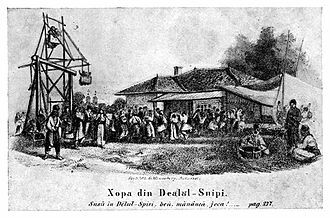 They lived in Ontario for several years, in 1853, Isaac Cody sold his land in rural Scott County, for $2000, and the family moved to Fort Leavenworth, Kansas Territory. In the years before the Civil War, Kansas was overtaken by political and physical conflict over the slavery question and he was invited to speak at Rivelys store, a local trading post where pro-slavery men often held meetings. 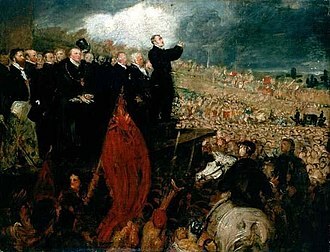 His antislavery speech so angered the crowd that they threatened to kill him if he didnt step down, a man jumped up and stabbed him twice with a Bowie knife. Rively, the owner, rushed Cody to get treatment. In Kansas, the family was persecuted by pro-slavery supporters. The Brit Awards are the British Phonographic Industrys annual pop music awards. The name was originally a form of British, Britain or Britannia. In addition, an equivalent awards ceremony for music, called the Classic Brit Awards, is held each May. Robbie Williams holds the record for the most Brit Awards,13 as a solo artist, the awards originated as an annual event in 1982 under the auspices of the British record industrys trade association, the BPI. In 1989 they were renamed the Brit Awards, masterCard has been the long-term sponsor of the event. The Brit Awards were broadcast live until 1989, when Samantha Fox, in subsequent years, the event was recorded and broadcast the following night. From 2007, the Brit Awards reverted to a live broadcast on British television, on 14 February on ITV. In that year, comedian Russell Brand was presenter and three awards were dropped from the ceremony, Best British Rock Act, Best British Urban Act, on 18 February 2009, the venue for the BRITs was once again the Earls Court, London. The Brit Awards were held at The O2 in London for the first time in 2011, the Brit Award statuette given to the winners features Britannia, the female personification of Britain. The first awards ceremony was in 1977, as The BRITish Record Industry BRITannia Awards, there have been 36 editions to date. The 2016 Brit Awards was held on 24 February 2016, the 1988 BPI Awards was the first of the ceremonies to be broadcast on live television. The BBC had previously broadcast the ceremony from 1985, with the shows from 1982 to 1984 not broadcast on television, the BBC continued to broadcast the renamed BRIT Awards, live in 1989 and pre-recorded from 1990 to 1992. ITV have broadcast the awards since 1993, pre-recorded until 2006, BBC Radio 1 has provided backstage radio coverage since 2008. In 1987 the BPI Awards ceremony was held in the Great Room at the Grosvenor House Hotel, at the time there was a BBC electricians strike in effect, and the organisers decided to use a non-TV events production company, called Upfront, to manage the show. Olympia is an exhibition centre, event space and conference centre in West Kensington, England. The venue is home to a range of trade and consumer exhibitions, conferences. The nearest railway station is Kensington which is a London Overground station, a London Underground station, the nearest underground stations are Barons Court, Shepherds Bush and West Kensington. The direct District Line spur to the only runs on weekends. 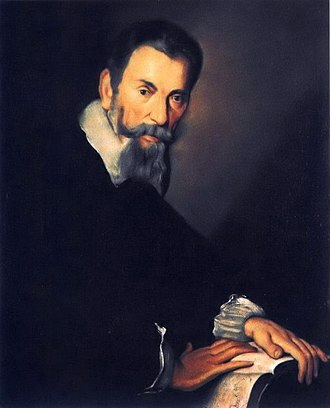 Olympias story began in May 1884, john Whitley had created the National Agricultural Hall Company with the aim of building and operating the countrys largest covered show centre. Opened on 26 December 1886 as the National Agricultural Hall, it changed its name to Olympia in keeping with its ideals. It was built by Andrew Handyside and Company of Derby and covered an area of 4 acres, the Grand Hall was said to be the largest building in the United Kingdom to be covered by one span of iron and glass. Olympia London now features four event venues and a conference centre, the event venues are Olympia Grand, Olympia National, Olympia Central and Olympia West. Having secured the site, the National Agricultural Hall Company commissioned Henry Edward Coe to design the building and he had already designed the Agricultural Hall in Islington twenty five years before and took its barrel-roof form as the basis for the new building. With fixed seating for 9000 people and at nearly an acre in size, the roof had to be high –115 ft at the apex – to enable its great weight to be carried down as near vertically as possible. The structure is strong, with the hurricane of 1987 achieving no more than the destruction of a loose ventilation hatch. The roof of the hall was erected in twelve weeks in midwinter in 1885 and its non-putty patent glazing ensuring free expansion and contraction of 2,500 sheets of quarter inch plate glass. The glass was replaced in 1991 with a sealed heat treated solar reflective system. There is a legend that surrounds the ‘Prince’s Apartments’ which is a suite tacked on to the side of the hall on two floors. This suite appears on the original plans under this name, the story goes that the suite was used by Edward, Prince of Wales for his amorous liaisons before he became King in 1901 – he had a notorious eye for the ladies. City Hall is the headquarters of the Greater London Authority, which comprises the Mayor of London and the London Assembly. It is located in Southwark, on the bank of the River Thames near Tower Bridge. It was designed by Norman Foster and opened in July 2002, for the first two years of its existence, the Greater London Authority was based at Romney House, Marsham Street in Westminster. Meetings of the London Assembly took place at Emmanuel Centre, on Marsham Street, City Hall was constructed at a cost of £43 million on a site formerly occupied by wharves serving the Pool of London. The building does not belong to the GLA but is leased under a 25-year rent. Despite its name, City Hall is not in and does not serve a city, which adds to the confusion of Greater London with the City of London. 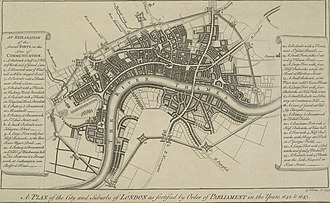 In June 2011, Mayor Boris Johnson announced that for the duration of the London 2012 Olympic Games, the predecessors of the Greater London Authority, the Greater London Council and the London County Council, had their headquarters at County Hall, upstream on the South Bank. It has been compared variously to Darth Vaders helmet, an egg, a woodlouse. Former mayor Ken Livingstone referred to it as a glass testicle, while his successor, Boris Johnson, has referred to it as The Glass Gonad and more politely as The Onion. Its designers reportedly saw the building as a giant sphere hanging over the Thames and it has no front or back in conventional terms but derives its shape from a modified sphere. A 500-metre helical walkway, based on that used in the cupola of the Reichstag building in Berlin, at the top of the ten-storey building is an exhibition and meeting space called Londons Living Room, with an open viewing deck which is occasionally open to the public. The walkway provides views of the interior of the building, and is intended to symbolise transparency, in 2006 it was announced that solar photovoltaic cells would be fitted to the building by the London Climate Change Agency. The council chamber is located at the bottom of the helical stairway, the seats and desks for Assembly Members are arranged in a circular form with no clearly defined head, podium, or chair where a speaker, council chairperson, or mayor might be seated. Kensington is an affluent district within the Royal Borough of Kensington and Chelsea in West London. Its commercial heart is Kensington High Street, the affluent and densely populated area contains the major museum district of South Kensington, which has the Royal Albert Hall for music and nearby Royal College of Music. The area is home to many of Londons European embassies, the first mention of the area is in the Domesday Book of 1086, where it was written in Latin as Chenesitone, which has been interpreted to have originally been Kenesignetun in Anglo-Saxon. 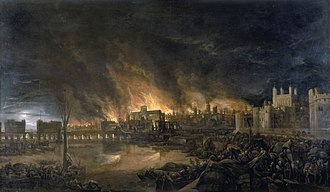 A variation may be Kesyngton, in 1396 and he in turn granted the tenancy of Kensington to his vassal Aubrey de Vere I, who was holding the manor in 1086, according to Domesday Book. The bishops heir, Robert de Mowbray, rebelled against William Rufus, Aubrey de Vere I had his tenure converted to a tenancy in-chief, holding Kensington after 1095 directly of the crown. He granted land and church there to Abingdon Abbey at the deathbed request of his young eldest son, Geoffrey. 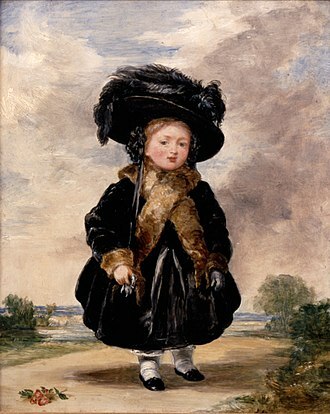 As the Veres became the earls of Oxford, their estate at Kensington came to be known as Earls Court, while the Abingdon lands were called Abbots Kensington and the church St Mary Abbots. The original Kensington Barracks, built at Kensington Gate in the late 18th century, were demolished in 1858, the focus of the area is Kensington High Street, a busy commercial centre with many shops, typically upmarket. The street was declared Londons second best shopping street in February 2005 thanks to its range, since October 2008 the street has faced competition from the Westfield shopping centre in nearby White City. Kensingtons second group of buildings is at South Kensington, where several streets of small to medium-sized shops. This is the end of Exhibition Road, the thoroughfare that serves the areas museums. To the west, a border is kept along the line of the Counter Creek marked by the West London railway line, in the north east, the large Royal Park of Kensington Gardens is a green buffer. The other main area in Kensington is Holland Park, just north of Kensington High Street. Charles Howard Crane was an American architect. Born in Hartford, Crane moved to Detroit in 1904 and he worked as a draftsman for several architectural firms, including Albert Kahn Associates, Hinchman & Grylls, and the office of Gustave A. Mueller, before opening his own office in 1908. Like Thomas W. Lamb and John Eberson, Crane specialized in the design of palaces in North America. Cranes career would include some 250 theaters in total, with 62 of them in the Detroit area and his 5174-seat Detroit Fox Theatre was the largest of the Fox Theatres. The 4,500 seat Fox Theatre in St. Louis was its slightly smaller architectural near twin and these were considered to have been his architectural masterpieces. Among the 5 massive Fox theatres, Crane designed the Brooklyn Fox, Crane was a genius at giving his venues great acoustics. Among his best theatres were Orchestra Hall, the former and once home of the Detroit Symphony Orchestra. Crane designed Olympia Stadium, which eventually had seating for 13,375 plus standing room for 3,300, used by the Detroit Red Wings, was razed in 1987. Crane designed many office buildings, most of his many downtown Detroit movie palaces had attached office towers that he designed. However, Cranes office tower masterpiece is the 47 story 555 ft. tall LeVeque Tower in Columbus, due to the 1929 Great Depression, Cranes theatre and office building commissions dried up. He became disillusioned and in 1930 moved to London, Crane designed many cinemas across Britain, but in much tamer designs than his American movie palaces. Cranes most famous U. K. commission was Earls Court Exhibition Centre and it closed in 2014 and is due to be demolished in 2015. Crane returned to visit Detroit once or twice a year until World War II and he remained in London, where he died and was buried in 1952. 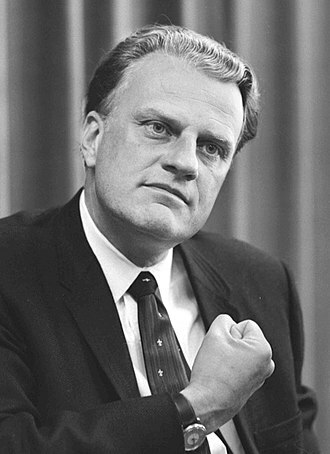 His namesake descendants now live in the Detroit area, all buildings are located in Detroit, unless otherwise indicated. C. Meyer, Katherine Mattingly and Martin C. P. McElroy with Introduction by W. Hawkins Ferry, cS1 maint, Multiple names, authors list Perkins, Michael A. The London Overground is a suburban rail network in the United Kingdom. Established in 2007, it serves a large part of Greater London and parts of Hertfordshire, the network forms part of the National Rail network, but under the franchise control and branding of Transport for London. Operation has been franchised to Arriva Rail London since 13 November 2016, the Overground has been assigned the colour orange as a mode specific colour by Transport for London. 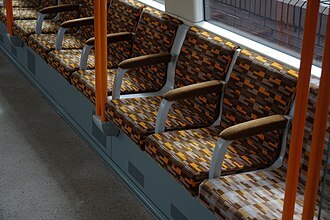 This colour is used in the Overground version of the TfL roundel, for the representation of Overground routes on the map, in train interiors. Rail services in Great Britain are mostly run under franchises operated by train operating companies. The concept of developing a network of services around London goes back to the independently produced Ringrail proposals in the early 1970s. The proposal from Barren was for several overlapping services mainly using the North London Line and this was given the marketing name Cross Town Link-Line, and operated with basic 2-car diesel units. The next initiative came from the GLC in 1984, when the government supported the Broadgate development that would entail the demolition of Broad Street Station. The closure process was convoluted because of problems in making arrangements for the North London Line. These would eventually run to and from Liverpool Street via a new section of track and this used a name once associated with a semicircular service that operated from Broad Street to Mansion House, but ceased during World War 1. 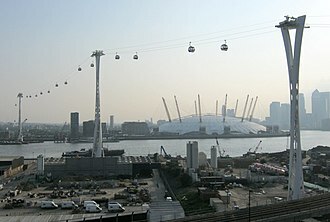 The pamphlets and briefings, first issued in 1997, initially suggested a route from Clapham Junction to the Greenwich Peninsula, intended to improve access from south London to the Millennium Dome. However, this was thwarted by architect Richard Rogers who considered a railway route on an elevated viaduct could cause community severance, nothing further happened to develop this network until after the new GLA was set up in 2000. But the lobbying discreetly continued with a series of short briefings published by one RDS member based in North London, mayoral and GLA candidates were approached to discuss the viability of the Outer Circle concept. 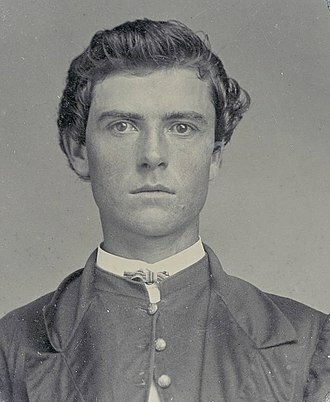 Cody in 1865 at the age of 19. 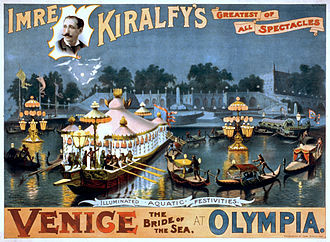 Imre Kiralfy's greatest of all spectacles, Venice, The Bride of the Sea at the Olympia, London, featured lluminated aquatic festivities. Proposals for Shepherd's Bush railway station; now open.